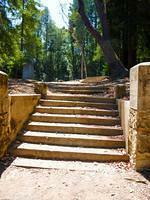 About ten miles West of Gilroy is Mount Madonna County Park. 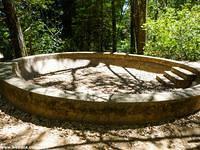 It is 3,219 acres and filled with redwoods . . . and ghosts. 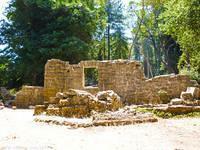 Although the land is now a public county park, it use to belong to a man called Henry Miller, who was one of Gilroy's founders. Henry Miller, born Heinrick Kreiser in 1827, he immigrated to New York City in 1846 and arrived in California in 1850 (it is said with only $5 in his pocket). Eventually he became one of the country's richest men. Along with his business partner, Charles Lux, the two became extremely prosperous selling beef during the California Gold Rush. He was known as the Cattle King and owned over 1.25 million acres of land as well as one million head of cattle. In 1875, he also acquired a summer retreat which was about 13,000 acres, part of which is now Mount Madonna County Park. Henry Miller had a young daughter, Sarah Alice Miller, nicknamed Gussie, because as her father use to say, she liked to gussie herself up in frilly dresses. She also use to like riding her horse around Mount Madonna. On June 14th, 1879, when she was only 8 years old, her horse tripped, its foreleg getting caught in a gopher hole, and threw poor Sarah. Her horse subsequently fell upon her, crushing her to death. Other versions of the story have Sarah falling and simply breaking her neck. Sarah was buried on the mountain. Henry Miller passed away in 1916. 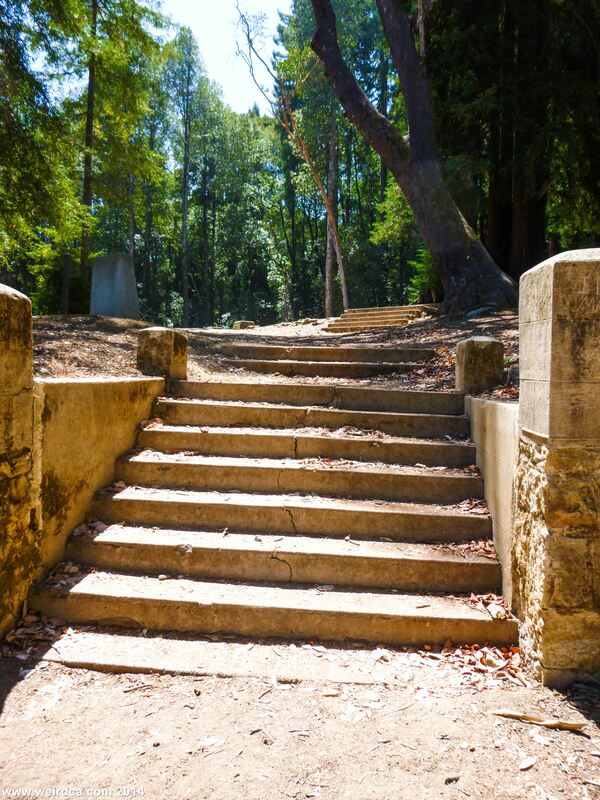 After he passed, the land was sold, and Sarah's body was exhumed and transferred to the family plot in Colma. 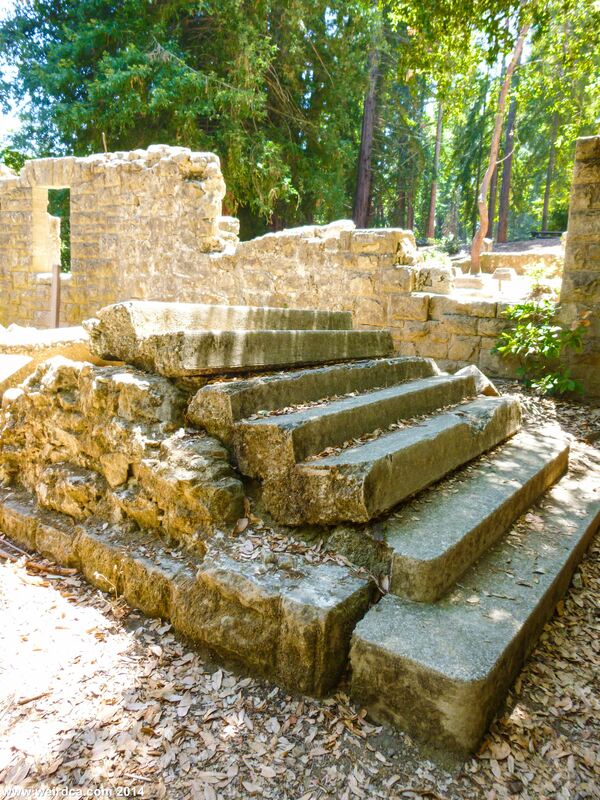 The estate was sold, and eventually the mansion that Henry had built in 1901 burned down, leaving only the ruins found in the county park today. As if a ghost girl riding a spectral horse wasn't bad enough, Hecker Pass or Highway 152, the road which the entrance to Mount Madonna County Park resides upon is also haunted! A woman in a red dress has been known to hitch hike along the road, even occasionally flagging down cab drivers. One cab driver picked up the young woman near Mount Madonna and gave her a ride to the bottom of Hecker Pass, dropping her off at a house. She bolted from the cab not paying her fare. The next day he stopped by the house again and was greeted by an old woman. He related his story to her, and she produced a picture containing the woman in red. When the cab driver confirmed that it was her, the older woman told him that it was her daughter and that she had died in a car crash many years before. 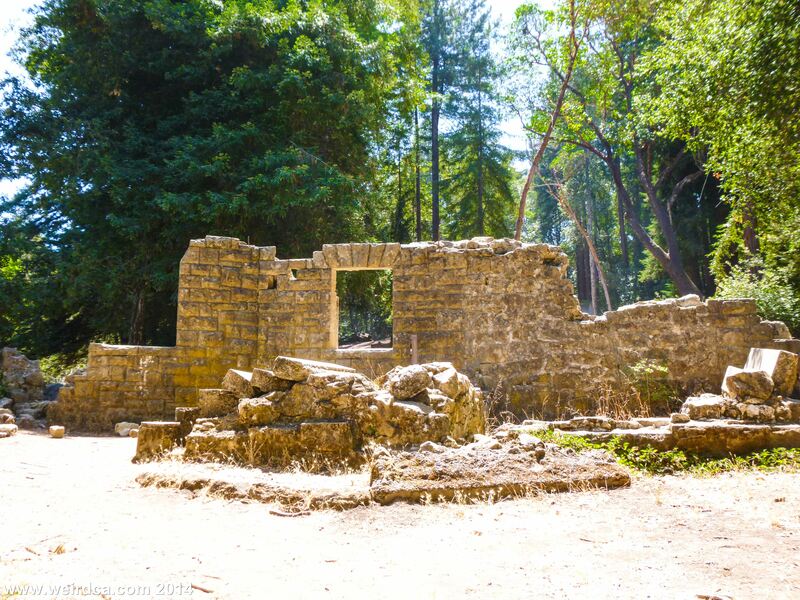 Santa Clara County Parks acquired part of the area in 1927 and acquired the remainder of the estate (the part containing the ruins) in 1953. 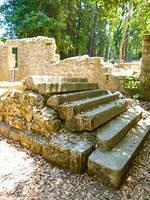 What remains of the ruins is just the foundation, some stone walls, and a few stair cases. 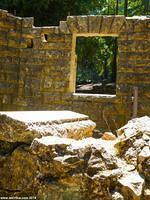 These stone ruins are all the remain of the Millers. Well that and their ghosts! All throughout the park, and even on the roads outside it, the specter of Sarah has been seen. The majority of the time it is of a young girl riding a horse around the mountain. But that's not the end of it. She has been seen walking along roadways in the park at night, wearing a frilly white dress. And she has gotten into the back seats of people's cars, attempting to hitch rides from people. At times, she has even done this without the driver's permission, simply appearing in the backseat. Some speculate that she is trapped forever on Mount Madonna, and these attempts at getting rides from people are all just her trying to escape from the mountain. Does a ghost ride a horse down the trails of Mount Madonna? Her ghost has also materialized in other ways. Campers have awoke in the morning to find their tents encircled by horse tracks and small human footprints, as if some mysterious visitor in the middle of the night lurked around their tent. 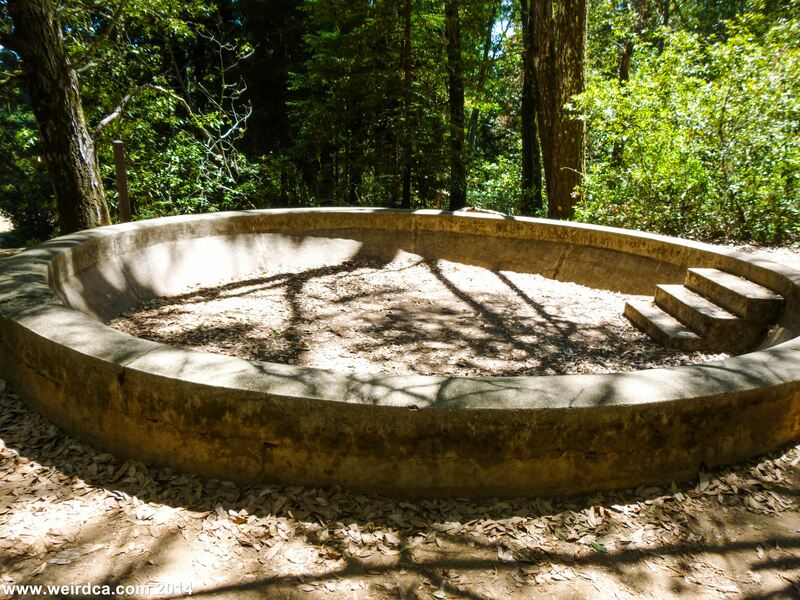 Visitors have claimed to hear a young woman screaming in the forest, reporting it to the park rangers, who although they investigate, know it's just the ghost of Sarah and that they will ultimately find nothing. 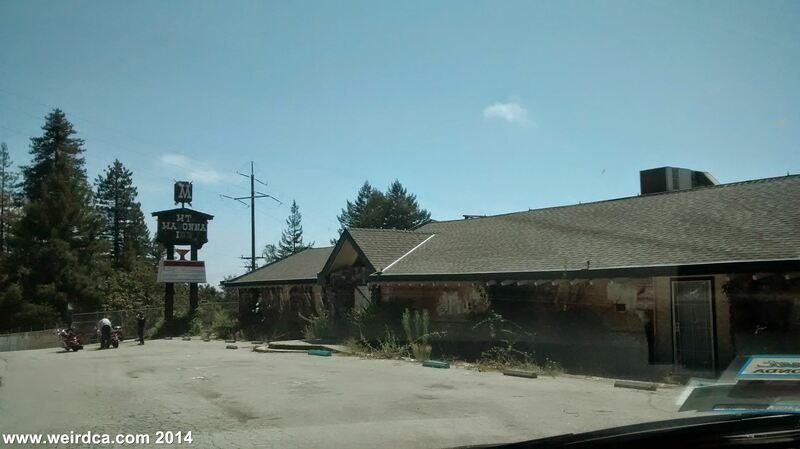 Sarah even haunts Mount Madonna Inn, a hotel and restaurant just outside the park that has been closed since 2004. In addition to park rangers having heard a young woman scream from inside the building, lights have been seen to turn on and off when it is known that no one is actually inside. A horse has also been seen trotting or galloping around the inn. Not to be out done by his daughter, Henry Miller's spirit has also been seen wandering the mountain. Perhaps he still misses his daughter who died so young. 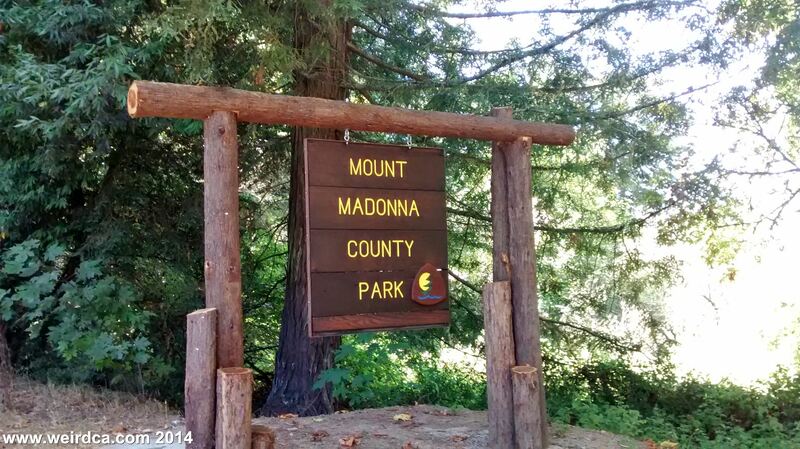 Mount Madonna is a county park and it costs $6 for entry. 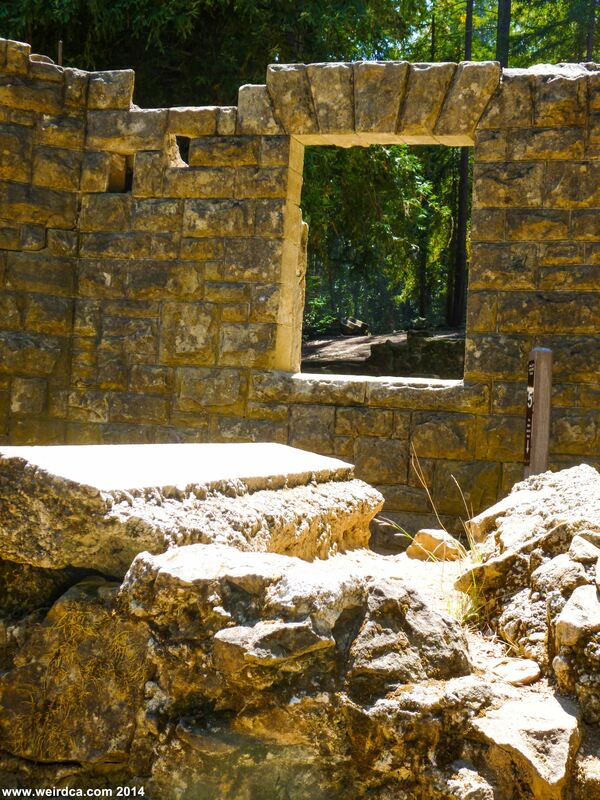 To see the ruins, take the Miller Ruins Loop, which is an easy 1.4 mile hike, although one mile of it can be skipped if you just want to see the main ruins. The ruins are on Pole Line Road, and directions can easily be obtained at the front pay station. Park in a lot near the Lower Miller Trailhead. The county park is open year round from 8am until sunset. 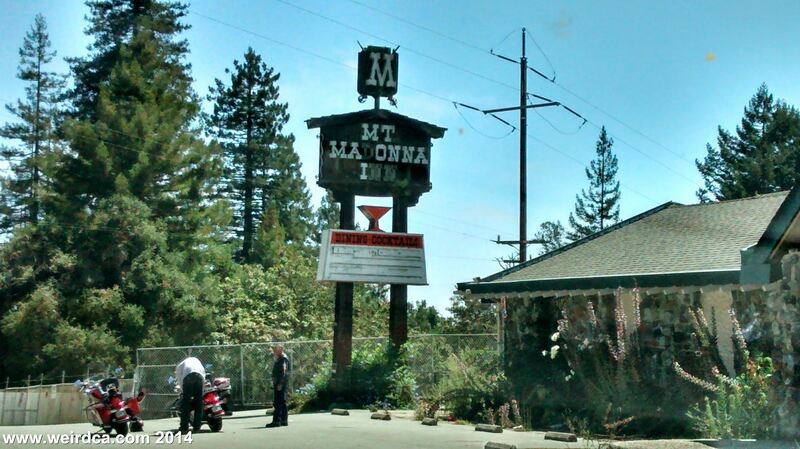 Mount Madonna has no relation to Alex Madonna of the Madonna Inn in San Luis Obispo. His hoards of land once included all of Buttonwillow. Hi Chris, Thank you for the really interesting information. 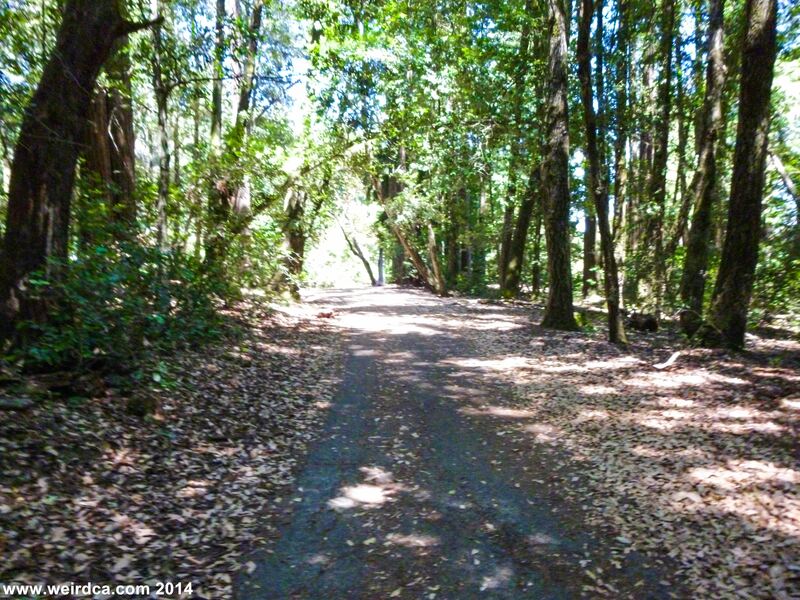 I would love to investigate this area off of Redwood Retreat Road where the old cemetery was supposed to have been. Do you know where that would be, more specifically? Thanks! My great grandfather, John George Roos used to own the Roos Ranch where the Mt. Madonna Conference Center is now located. Henry Miller and he had come from Germany together and remained life-long friends. John George Roos had a daughter, Clarisse Roos, my great aunt. Her and her older brother Oscar Emile never married and lived her their entire lives. Clarisse Roos is rumored to have placed a curse on this piece of property, that no one in the family would ever profit from this property. She was also some kind of a mystic. I seem to have inherited a gift for psychometry from that side of my family. My parents inherited the Roos Ranch in the very early 1960s. I can remember going down there as a child. 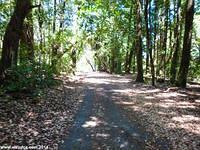 The old Redwood Retreat Road had actually been cut by my great grandfather. I always remember being terrified to be on that road, and if my parents pulled over and parked for even a moment, I would roll up all the car windows and lock all the doors. I definitely can say that this place has a lot of psychic activity and there is some sort of an evil presence or presences that roam the vicinity. I have heard that a lot of this activity stems from a long forgotten Chinese Cemetary that lies at the bottom of a canyon on the Mt. Madonna Park side of the property. This place always and always will give me the creeps! Subscribe to the Mailing List for occasional emails!